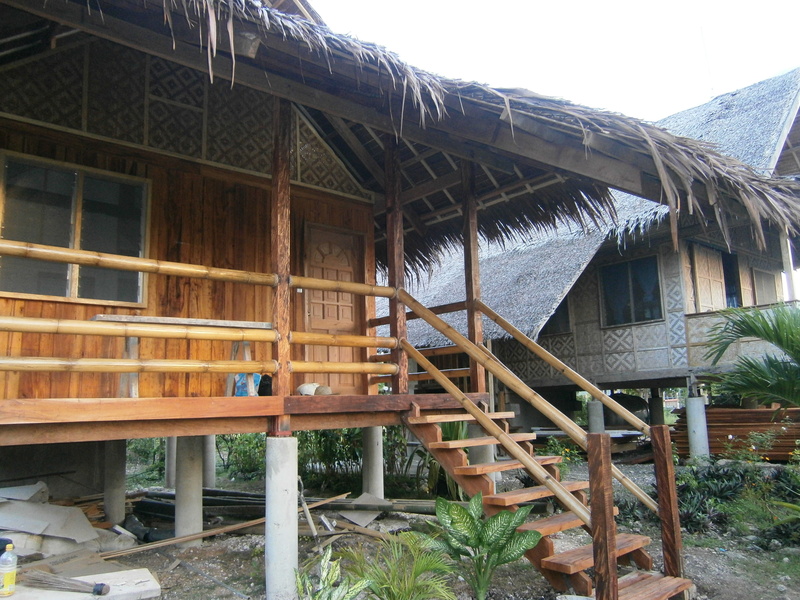 We have been working hard at Mayas to extend our capacity with two more cottages. 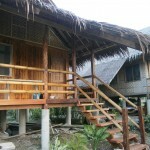 Now we have one Eco Aircon Cottage about to be ready for our guests. The new cottage is a big room with a queen size bed and a single bed. Perfect for a family! It has a great balcony overlooking Mayas Native Garden. 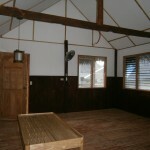 the cottage is build on stilts and have an air outlet in the top ceiling, this way their is no need to use aircondition, as the airflow will cool the cottage natural. 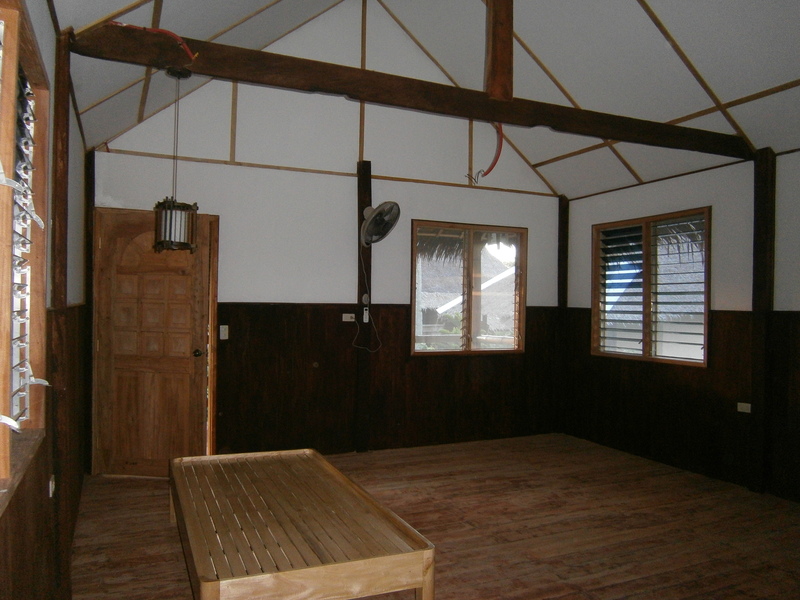 The cottage has a split aircondition Samsung unit for the very hot days! 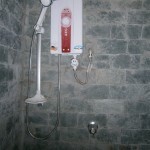 The bathroom is spacious with modern western lavatory and toilet. The bathroom design is cave like stones and a beautiful terazzo floor. 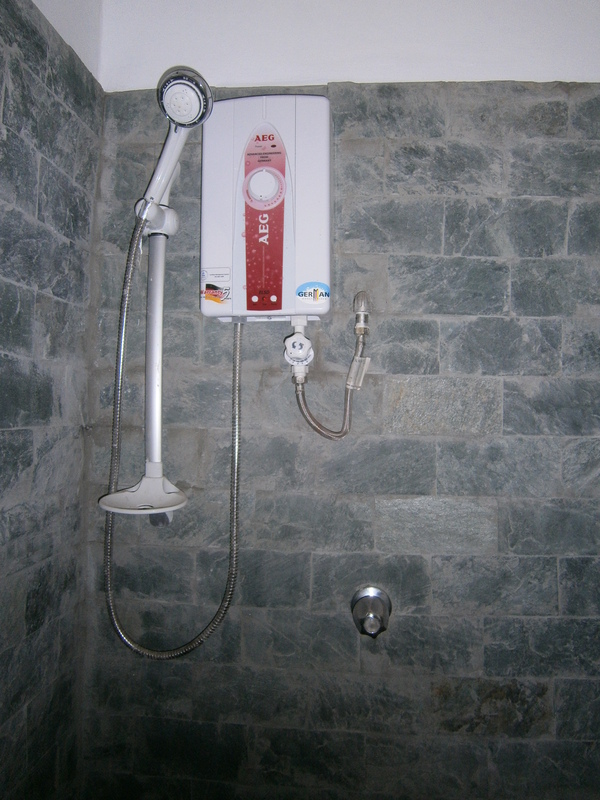 Hot and cold shower.